Hank Lebioda has received a sponsor exemption to the Zurich Classic of New Orleans, the PGA Tour’s team event in New Orleans April 25-29. 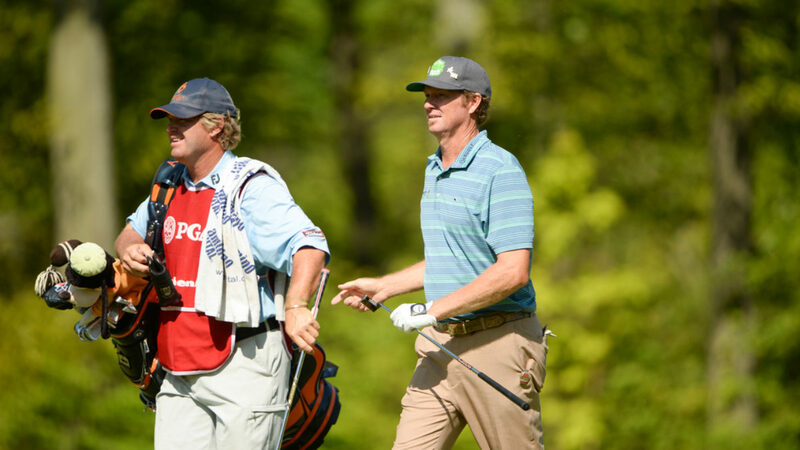 Hank will team with Australian Curtis Luck, a former US Amateur champion and fellow PGA Tour rookie, for the week. 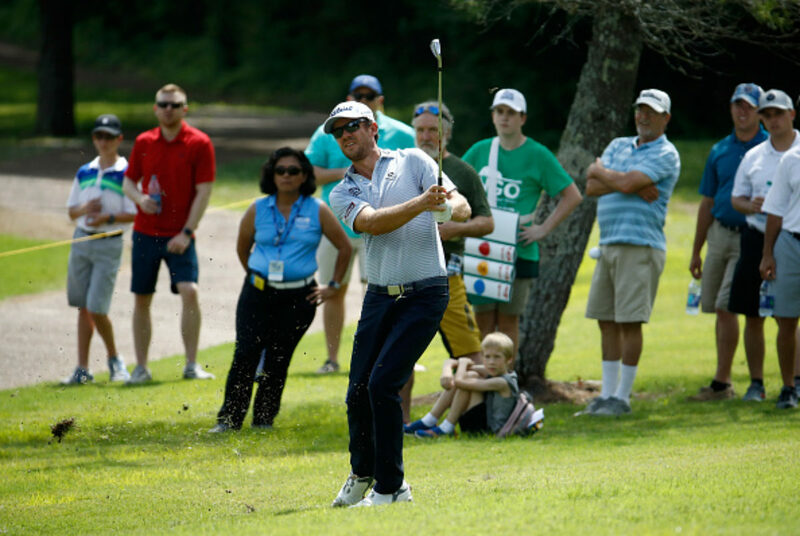 Sponsor exemptions are hyper-competitive and especially for a popular event such as The Zurich Classic. We decided to take a non-traditional and creative approach to petition the tournament to strongly consider the Lebioda/Luck team. We leveraged recent content by No Laying Up featuring the pair of rookies in a team event of their own. We then took to Twitter and asking No Laying Up fans to send a tweet in support of Hank and Curtis receiving the exemption. The response was overwhelming positive, garnering over 40,000 impressions and hundreds of responses in twenty four hours. Mission Accomplished, Hank and Curtis were awarded the exemption! 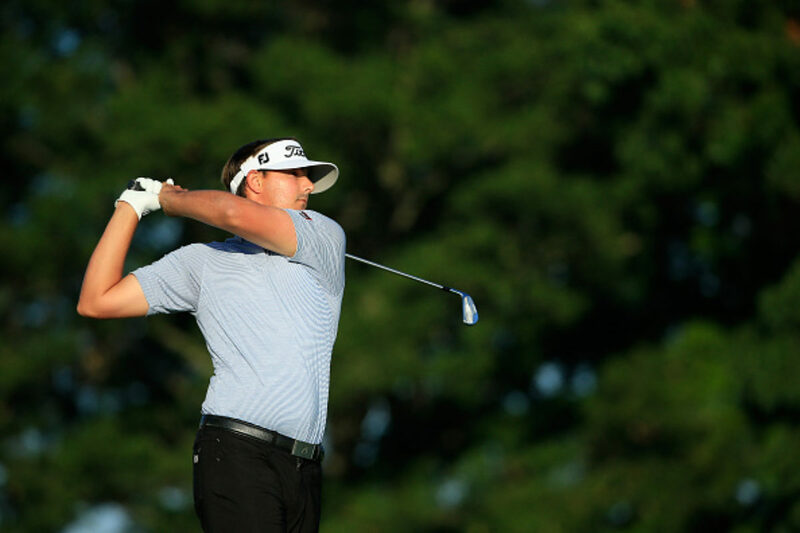 Wade Binfield finished birdie, birdie at the Savannah Championship on Sunday to notch his second Top 10 finish on the Web.com Tour Season in the first seven events of the season. Rounds of 69-68-68-73 left Binfield in a tie for 9th place in Savannah. 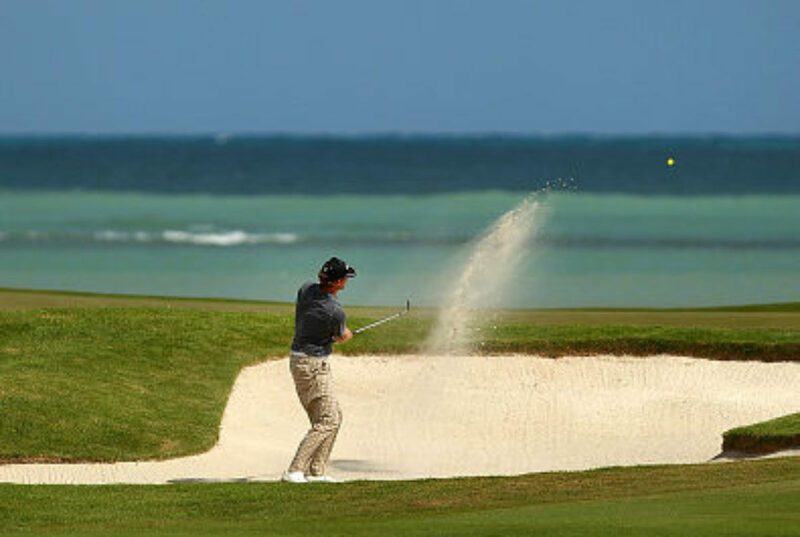 Binfield also finsihed 9th place at The Bahamas Great Abaco Classic in January. Binfield moves to 29th on the Order of Merit as the Web.com Tour takes a two week break prior to the next event on the schedule in Prattville, Alabama. Justin Lower also had a strong showing in Savannah, to back up his runner-up finish the prior week at the Louisiana Open. After making the cut on the number, Lower fired weekend rounds of 69-68 to move up to a final finish of 12th place Savannah. Lower is 13th on the Web.com Tour Order of Merit. Other FSG clients making the cut in Savannah included Brian Richey, who finished 56th and Charlie Saxon who finished 65th. The Web.com Tour is back in action April 18-21 at the Robert Trent Jones Golf Trail Championship. Justin Lower posted the best finish of his career over the weekend at the Chitimacha Louisiana Open presented by Mistras. Lower returned to the Web.com Tour event on the heels of a victory on the All Pro Tour the weekend prior, shooting 26 under par, and a 3rd place finish at the Louisiana Open in 2018. Lower fired rounds of 68-63-64 to take a two-shot lead into Sunday’s final round. At the completion of 72 holes, Lower signed for a one-under par 70 and was in a tie with Vince Covello. Covello birdied the third playoff hole to clinch the victory. 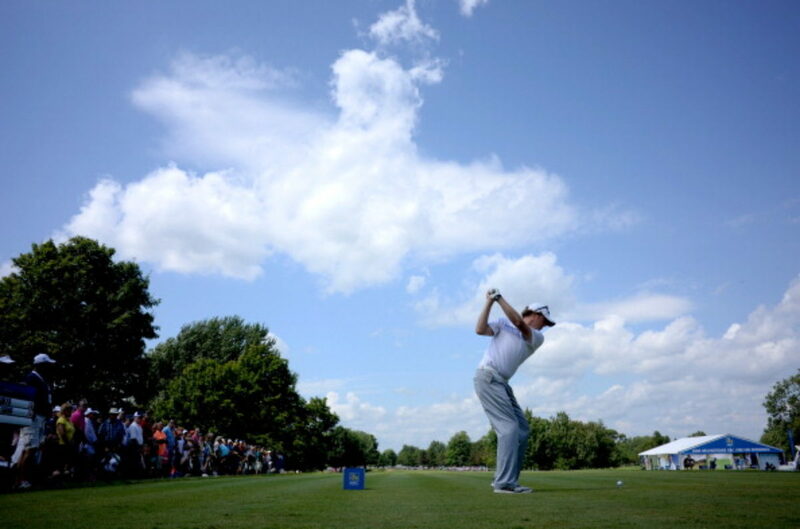 The runner-up finish was the best of Lower’s Web.com Tour career, and he moved to 13th on the Points List. At the end of the season, the Top 25 points earners earn their PGA Tour membership for the 2019-2020 season. Charlie Saxon is set to make his first start as a member on the 2019 European Tour this week in Doha, Qatar at the Qatar Masters. 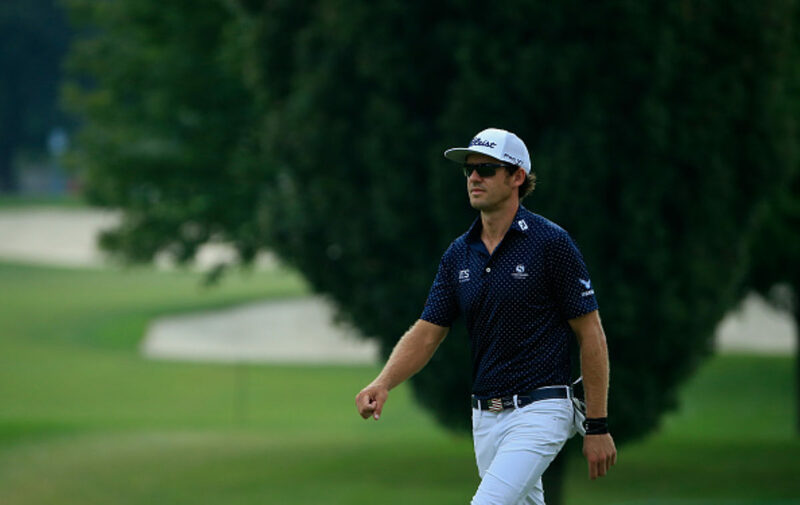 Charlie earned his European Tour membership by finishing #1 on the China Tour Order of Merit in 2018, thanks to victories in the first two events of the season and a sixth place finish an event co-sanctioned with the Challenge Tour. Charlie is also a full status member of the 2019 Web.com Tour, so balancing a global schedule has been a new experience for the young professional. 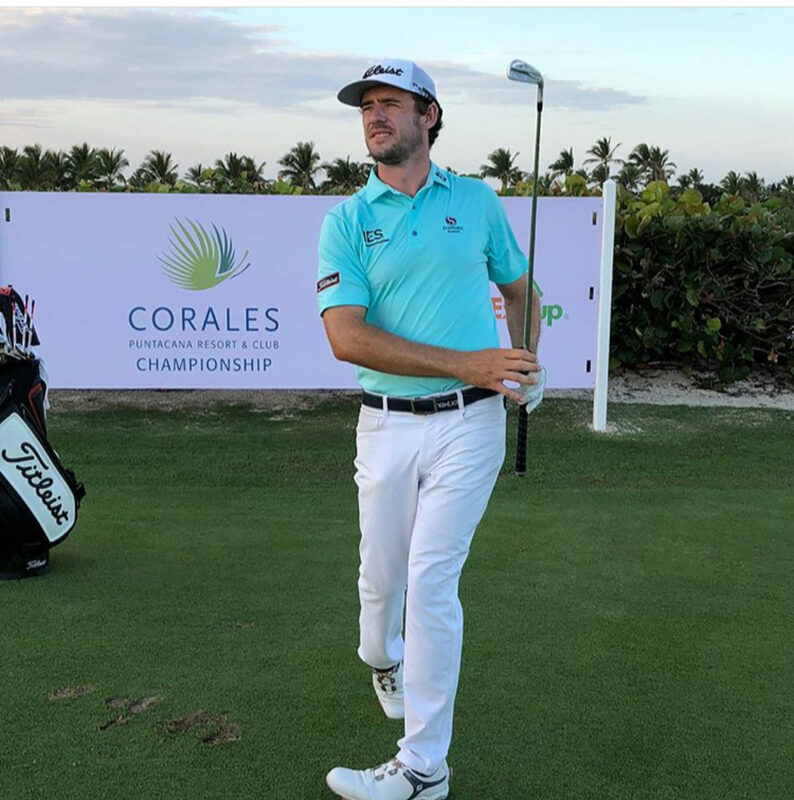 Qatar will mark the fifth country that Charlie was competed in during 2019 with previous starts on the Web.com Tour taking place in the Bahamas, Colombia, Panama and the United States. Charlie plans to return to the Web.com Tour for the Chitimacha Louisana Open March 18-24 followed by the Savannah Golf Championship the following week. No Laying Up and Fidelity Sports have collaborated to assemble the “Young Hitters” Program on the Web.com Tour. The team of five rising FSG clients on the Web.com Tour will represent NLU for the season and work with the brand to help tell their story, develop unique content and track their progress towards the PGA Tour in 2020. Diagnosed with Crohn’s Disease while a student-athlete at Florida State University, Hank Lebioda overcame overwhelming obstacles to achieve his dream of playing on the PGA Tour. Even Charlie Saxon himself questions how a guy from Tulsa, Oklahoma has managed to lead the all-time PGA TOUR Series-China money list. But as Saxon looks forward to a return to the Web.com Tour – and a trip to Final Stage first to try and improve his 2019 status – he says the experience in Asia has been invaluable for his growth as a professional. “Playing in China (has) been really instrumental to help me learn what it means to be a pro, travel and find my game,” says Saxon. “I built a foundation that’s going to last me through a lot of years of professional golf. The 24-year-old took a fortuitous route to end up on PGA TOUR Series-China to begin with. After graduating from the University of Oklahoma, Saxon’s original objective was to play on the Web.com Tour via Q-School, but his first attempt at Second Stage fell short. He signed up late for PGA TOUR Latinoamerica Q-School (“I didn’t realize all those sites filled up in 10 minutes,” he says) and decided to head to China. He had only been to Asia once in his life – a week-long adventure in the Philippines – but China, he says, was a whole different experience. “I went over there on a whim, thinking it was my best opportunity,” he explains. While in China for that Tour’s Q-School, he received an email saying he had earned a spot in the Argentinian Q-School site for PGA TOUR Latinoamerica. He flew from China (47 hours of total travel, he says) and made it through, so he had status on both Tours. “I played four events on (PGA TOUR Latinoamerica) and I had this feeling tugging on me where I thought, ‘I think I have to go to China,’” he says. The decision paid off. Saxon won twice in 2016, earning just over $67,000. He finished second on the money list and earned Web.com Tour status for 2017. After missing the final six cuts of the year and finishing 141st on the money list, though, he returned to China for 2018. He won twice more this year and had six top-five finishes. In a crazy twist of fate, the only way he could have lost this year’s money title was if, in the final event, Callum Tarren finished no worse than solo second and Saxon didn’t tie for 24th or better. Tarren finished second, Saxon tied for 25th, and the latter ended up approximately $340 short of the top spot. No hard feelings, however, as Saxon’s two fabulous seasons in China resulted in him surpassing Web.com Tour winner Marty Dou for the No. 1 spot in PGA TOUR Series-China career money. “I went to China and ended up having a great year, and the rest is history,” he says. Although his Mandarin is rusty at best and he didn’t particularly love the food (“I’ll stick to a big ol’ steak when I get home,” Saxon says with a laugh), he says his confidence is high as he readies for the 2019 Web.com Tour season, and Final Stage. The experience he garnered while playing on the other side of the world has become invaluable in his growth. Growing up, Saxon played at venerable Southern Hills Country Club, the seven-time major championship host venue. 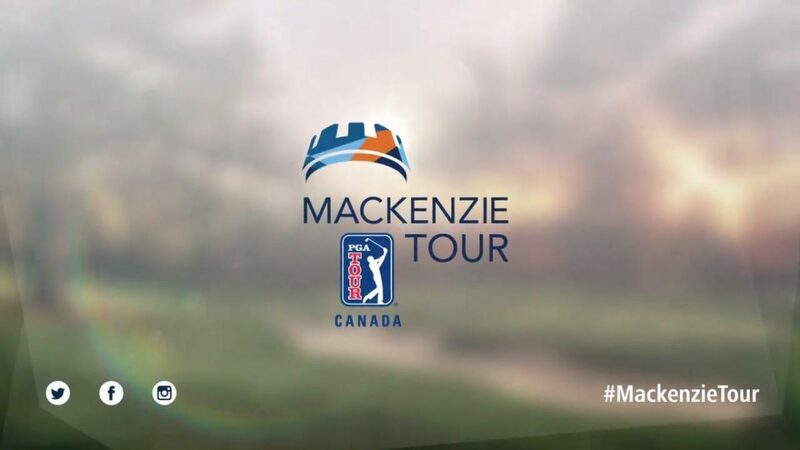 He now plays out of Oak Tree National in Edmond alongside 2018 Mackenzie Tour-PGA TOUR Canada graduate Michael Gellerman and fellow Oklahoma alum Max McGreevy, a 2018 Web.com Tour member. He says he had dreams of playing on the PGA TOUR since he was a youngster and was “golf-crazy” growing up. He was fortunate to have a robust support system of people who put a lot of time into him, and although he grew up taking golf lessons at Karsten Creek Golf Club (home club of Oklahoma State University), his parents were both Oklahoma graduates, and he opted to become a Sooner rather than a Cowboy. “We had been pretty terrible, and I wasn’t pumped to go play for a school that hadn’t been that good,” says Saxon with a laugh. “But when Coach (Ryan) Hybl came along, he just had a passion for turning the program around. I really bought into that and was excited to be part of that culture. But with school long in the rearview, Saxon knows the time is now to continue the climb up golf’s ladder. For the first time in his career, he wrote down some tangible goals he wanted to achieve in 2018, and he plans on doing the same for next season. The ultimate goal, he says, is to have a PGA TOUR card in about 48 weeks’ time. With worldwide victories under his belt, he acknowledges that sticking to his game and accepting the inevitable ups and downs will be key. PGA Tour player Hank Lebioda has signed with Fidelity Sports Group for exclusive and worldwide representation and marketing services. 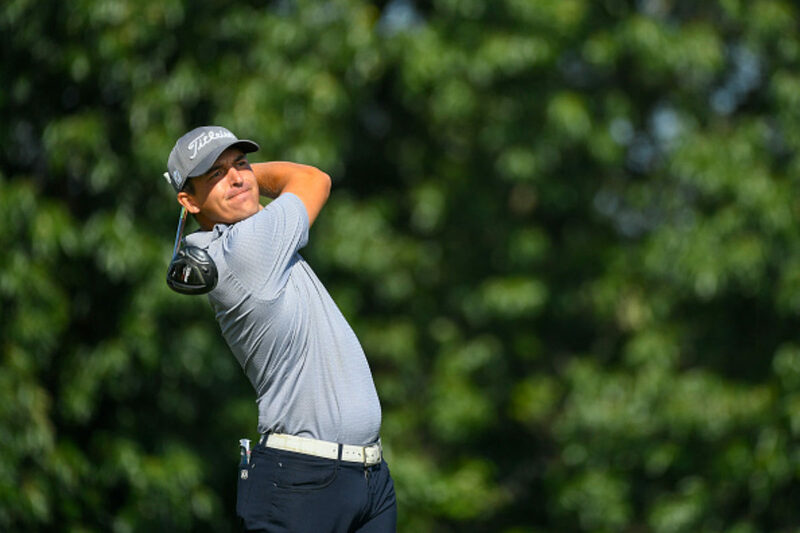 Hank Lebioda competed on the 2018 Web.com Tour as a rookie, ending the season 25th on the Money List to earn his PGA Tour card for the 2018/2019 membership. Hank’s campaign on the 2018 Web.com Tour included four top 10 finishes. 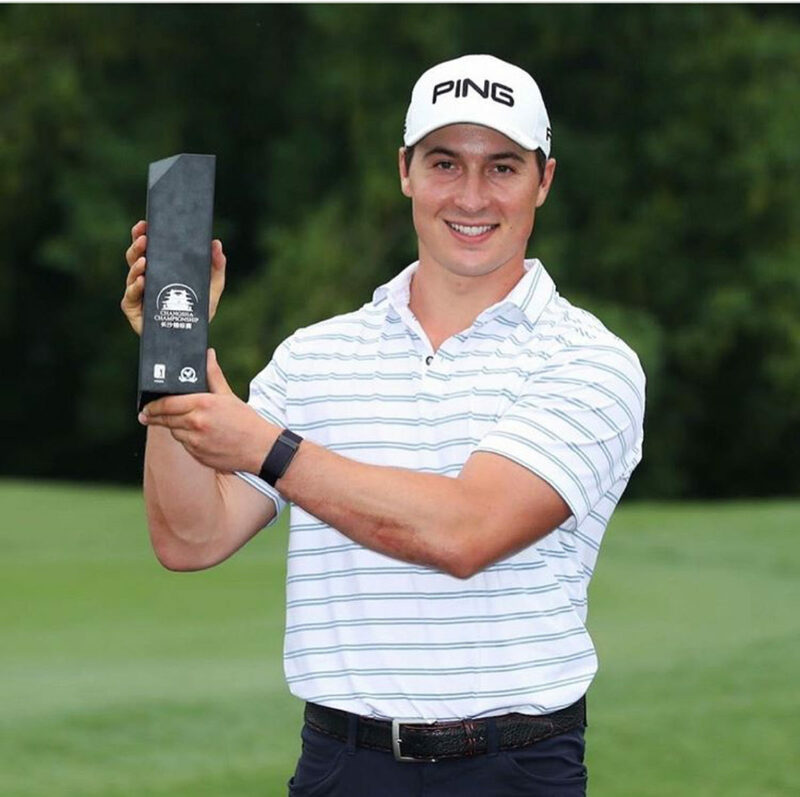 Additionally, Hank also won in 2017 on PGA Tour Canada and finished Top 10 on the Money List on PGA Tour Latin America. Hank turned pro in the summer of 2016. Hank graduated from Florida State University May 2016. During his career as a Seminole, Hank earned recognition as ACC Freshman of the Year, ACC Player of the Year and a Two-Time NCAA All-American. Hank set holds school records for Most Birdies (467), Most Rounds Under Par (76) and Highest Percentage of Counting Scores (93%). While at FSU, Hank was diagnosed with Crohn’s Disease, a severe inflammatory disease of the digestive tract. The diagnosis forced Hank to seek experimental treatment in order to avoid surgery. Crohn’s Disease is a condition that Hank conditions to manage today on the PGA Tour. He desires to use the platform of the PGA Tour to raise awareness, and funds for a cure. Hank graduated from Trinity Prep High School in Orlando, Florida, where he had a 4.00 GPA and was also a stand-out member of the baseball team prior to focusing full-time on golf. PXG has signed Grant Hirschman to its roster of champions in an effort to support emerging talent. 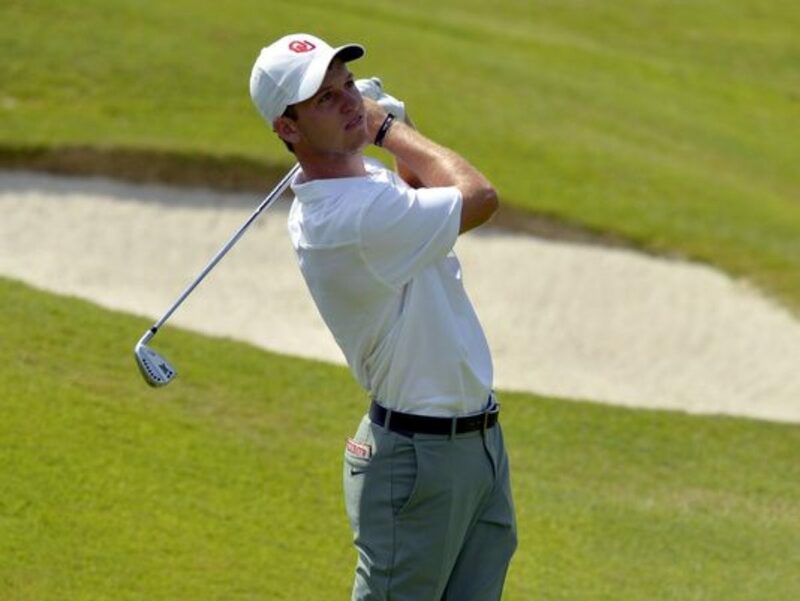 A decorated junior and collegiate golfer, Grant Hirschman is a recent graduate of University of Oklahoma. Hirschman competed in every tournament during his four-year college career. As captain of the men’s golf team he led University of Oklahoma, a PXG sponsored program, to a National Championship in 2017. 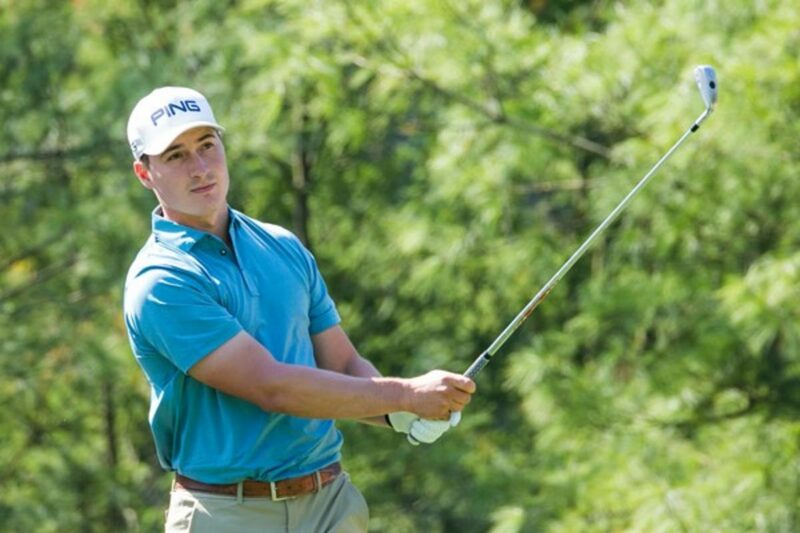 Grant kicked off his professional career this summer on PGA Tour Canada; posting a 69.06 scoring average, recording a top ten finish and qualifying for the Tour Championship. In only ten starts, Grant retained status for the 2019 season, finishing in the Top 60 of the Order of Merit. Hirschman will head to Web.com Tour Q-School this fall in an attempt to move up the ranks in 2019. PXG’s current professionals represent some of the very best talent on the PGA and LPGA Tours. Dougherty and Hirschman will join current #PXGTroops Zach Johnson, Billy Horschel, Pat Perez, Ryan Moore, James Hahn, Charl Schwartzel, Wyndham Clark, Lydia Ko, Anna Nordqvist, Katherine Kirk, Austin Ernst, Christina Kim, Brittany Lang, Alison Lee, Ryann O’Toole, and Gerina Piller. Following his fourth runner-up finish of the 2018 PGA Tour Champions season at the Sanford International, Tim Petrovic spent time with Golf Channel to provide tips to improve your bunker play. 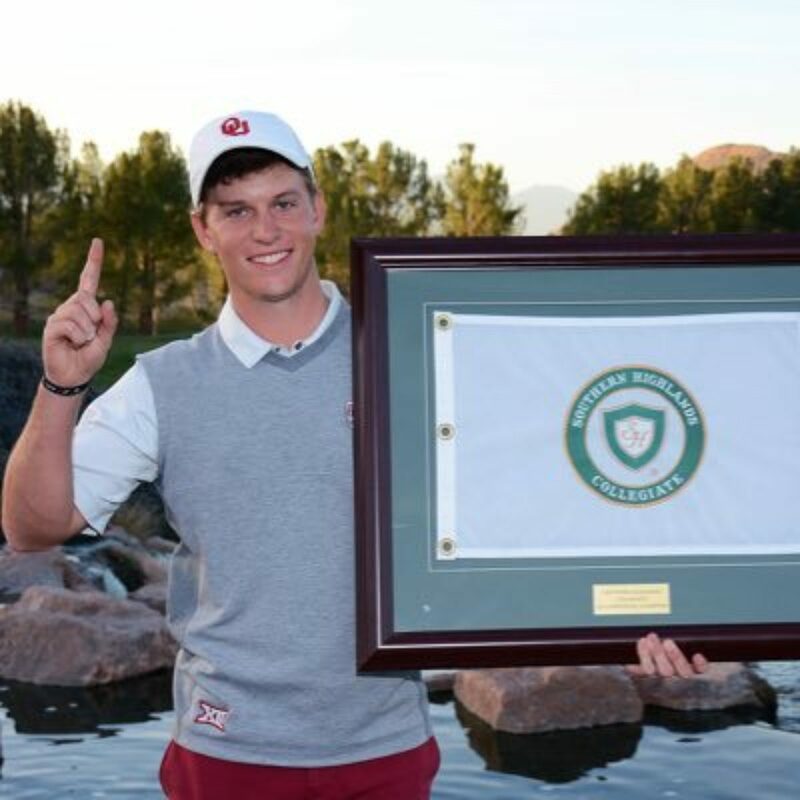 Congratulations to former Oklahoma Sooners Michael Schoolcraft and Grant Hirschman as they have both qualified for the Tour Championship on PGA Tour Canada at Highland Country Club in London, Ontario September 13 thru 16. The Top 60 finishers on the Order of Merit qualify for the Tour Championship each year and secure membership on the Tour for 2019. 2018 marked a return to PGA Tour Canada for Michael Schoolcraft, after a 2016 season where he finished Top 10 on the Money List and 2nd on the Tour in birdies made. 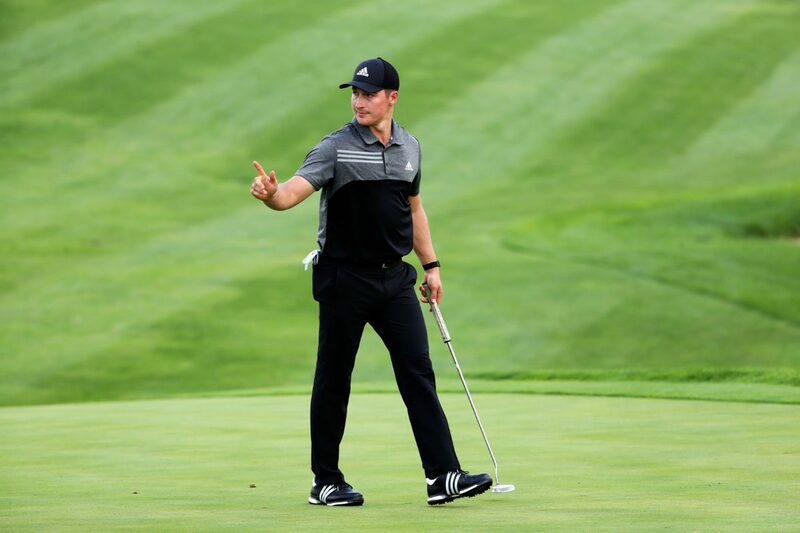 After a year of limited status in 2017 on the Web.com Tour, Mike returned to Canada for the 2018 season. At the completion of the regular season, Schoolcraft stands 28th on the Order of Merit. A solid week at the Tour Championship would move him into the Top 25 in the standings and an exemption to skip the 1st stage of Web.com Tour Q-School. An excellent week moves him into the Top 10 on the Order of Merit and a trip back to the Web.com Tour in 2019. Hirschman just graduated from University of Oklahoma in May of 2018, however, he was able to secure PGA Tour Canada status via Q-School in the spring. The start of his season was delayed, however, due to the NCAA National Championship followed by his first pro start by way of sponsor exemption at the PGA Tour’s Fed Ex St. Jude Classihometownhome town of Memphis, Tennessee. Grant did make the cut in Memphis securing his first payday as a professional. Grant entered the final event of the regular season 62nd on the Order of Merit, needing a solid week to move into the Top 60 and an invite to the Tour Championship. On Friday afternoon, with nine holes to play Grant was outside the cut line. A bogey-free 3 under on his final nine moved him inside the cut line. Followed by rounds of 69-70 on the weekend, Grant was able to move to 59th on the Order of Merit! 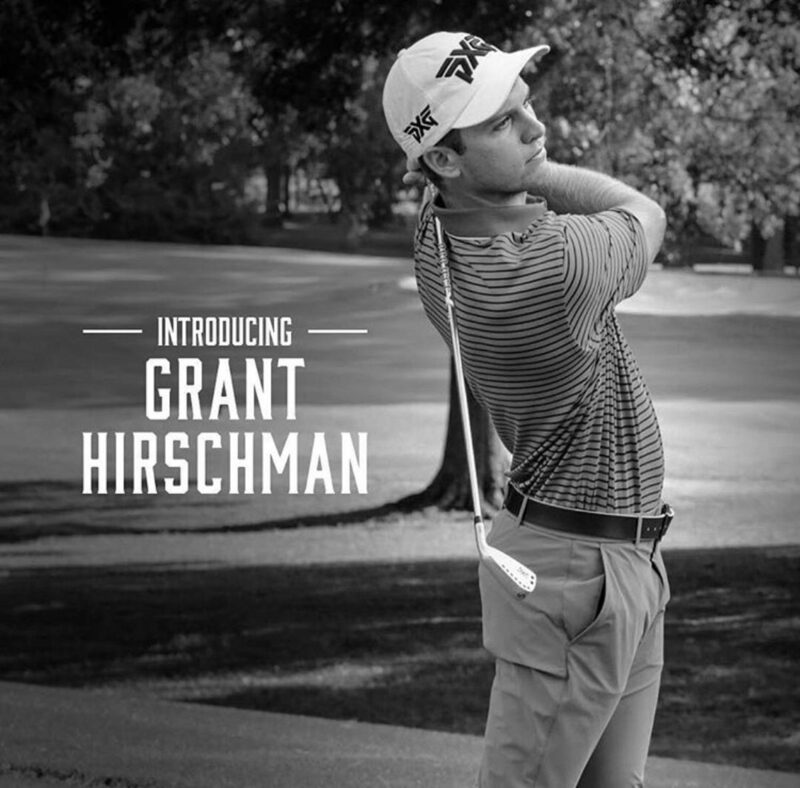 Hirschman is sponsored and supported by PXG, Greyson Clothiers, Nike Golf (shoes) and Bridgestone (ball). John Coultas breezed through his pre-qualifying stage of Web.com Tour Q-School in Brunswick, Georgia September 5th thru 7th. Rounds of 66-71-67 left John in a tie for 7th place just four shots behind Zach Caldwell who won the event at 10 under par. 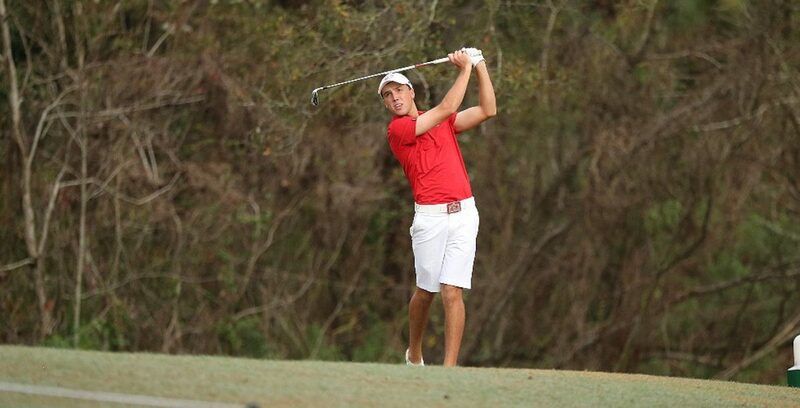 Coultas, a 2018 graduate of Florida Southern College in Lakeland, Florida where he was a four-time First Team All American, Phil Mickelson Freshman of the Year and Jack Nicklaus Player of the Year will head to “First Stage” of Q-School at familiar Grasslands Country Club in Lakeland, Florida October 2-5, 2018 as he looks to join the Web.com Tour for the 2019 season which will be his first full calendar year as a professional. Lanto Griffin entered the Web.com Tour playoffs with tailwinds of momentum after completing his rookie season on the PGA Tour with eight straight and consecutive cuts made. The streak started in June at The Travelers Championship and ran thru the end of the PGA Tour regular season in August at the Wyndham Championship. Lanto continued such form at the first Web.com Playoffs event at the Nationwide Children’s Hospital Championship at the Ohio State University Scarlet Golf Course in Columbus, Ohio. Rounds of 68-69-69-69-69 secured a 5th place finish for Lanto and $33,900. In recent years, the amount of prize money needed to secure a PGA Tour card has floated between $33,000 and $40,000 leaving Lanto in fantastic position to regain PGA Tour membership for the 2019 season with two events remaining in the playoffs! Lanto’s only other start on the Web.com Tour this year came at the Nashville Golf Open, which he won in 2017. Lanto mounted a fantastic title defense finishing 2nd place that week. HAIYANG, SHANDONG, CHINA—Charlie Saxon is hoping to ‘keep winning’ and secure his third PGA TOUR Series-China title of the year at this week’s Qingdao Championship as he continues his bid to win the Order of Merit and return to the Web.com Tour. Saxon, 25, finished second in the 2016 Order of Merit to earn a place on last year’s ‘Path to the PGA TOUR’, but took time to regain his form after a hip operation and lost his card. Having been in excellent form throughout 2018, the big-hitting American is determined to return to the Web.com Tour and try again to qualify for the PGA TOUR. Saxon has earned RMB 783,085 from seven events, including two wins, and is well clear of Hong Kong’s Motin Yeung (RMB 436,675). After a tie for 16th in last week’s Yantai Championship, the money-list leader is hoping to put himself in contention at Tiger Beach Golf Links, a sister course of Carnoustie, host of The Open Championship this week. “I need to keep the pedal down. A lot of good players are here trying to chase me, so I have to keep winning and that starts this Thursday,” said Saxon, a four-time winner on the Tour, having also won twice in 2016. Yeung, 24 is also in good form after backing his first professional win at last month’s Kunming Championship with an eighth-place finish last week, and believes his game is suited to the seaside links course in Haiyang, near Qingdao. “My game felt pretty solid last week. I just hope that this week, some part of my game will shine a little more and that will bring my score down, and hopefully that will produce a good result,” said Yeung. Todd Baek is third with RMB 429,650 and, like Saxon, keen on a return to the Web.com Tour, where the Korean played in 2015 and 2016 after qualifying from the first PGA TOUR Series-China season in 2014. Baek is focused on at last finishing in the top-five by the end of the season, and admits he’s excited about the layout at Tiger Beach. “I like the course set-up. It’s pretty challenging and it’s tough, so I think you have to stay patient out here. It’s going to be windy and you can find some trouble, so I’m looking forward to the challenge,” said Baek, who won the Haikou Championship in May. After finishing runner-up at the Senior PGA Championship, Petrovic backs up the effort with a 2nd place at the US Senior Open at the Broadmoor Resort. Petrovic opened with a 2-over 72 and then rebounded with a championship-low 5-under 65 on Friday that featured a nearly flawless 6-under 30 on his final nine. He looked determine to keep that momentum going on a cloudy day where thunderstorms threatened. Petrovic parred his first eight holes and then made birdies at Nos. 9 and 14 to take the solo lead during Saturday’s third round. The most bizarre moment of the day came when Petrovic hit a stray tee shot on the par-4 17th. As the ball came to rest, a young kid raced to the ball and slid into it, picking the ball up and then dropping it down. For the 51-year-old Petrovic to capture his first PGA Tour Champions in his 31st career start on the senior circuit, he will also have to beat David Toms, who sits at 3 under, and his playing partner for Sunday, Kirk Triplett at 2 under. Each year at the PGA Tour’s Travelers Championship, the event puts on a fun “closest to the pin” contest for players during Tuesday’s practice round. The shot is approximately 80 yards to a small red Travelers logo umbrella in the middle of a pond. Yesterday, Lanto Griffin won the closest to the pin contest! As a result, Travelers enabled him to make a $10,000 donation to the charity of his choice. Lanto chose The Roanoke Valley Golf Hall of Fame Scholarship Fund. As a college student, The RVGHOF helped Lanto with scholarship money towards his college costs and he was thrilled to return the favor this week. The RVGHOF offers college scholarships to Roanoke area, junior golfers, regardless of their skill level. Lanto was joined bye Travelers’ Chief Administrative Officer Andy Bessette and Tournament Director Nathan Grube for the check presentation. 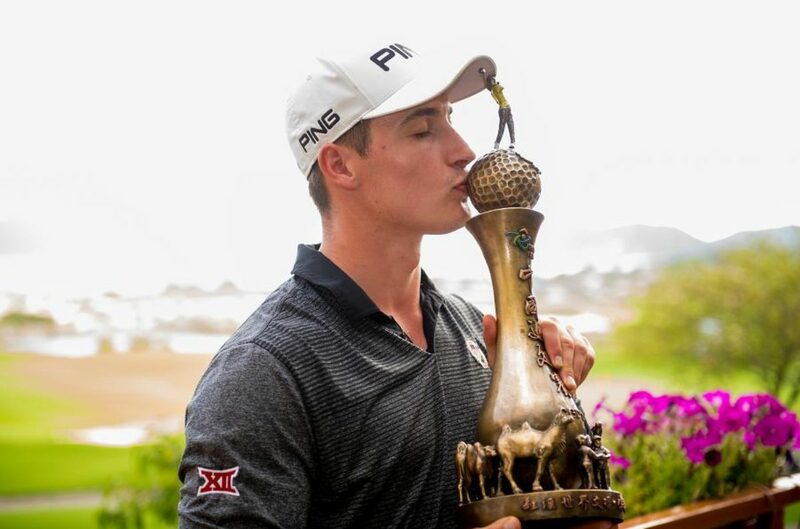 GUILIN, China — American Charlie Saxon holed a pressure-packed, 7-foot par putt on the final hole to avoid a playoff with China’s Jin Zhang, giving him the Guilin Championship title. Saxon’s 3-under 69 and an 18-under total of 270 at the stunning Guilin Landscape Golf Club earned him his second Tour title in his last three events and gives him four PGA TOUR Series-China tournament wins overall, tying him for most career victories with current PGA TOUR player Zecheng “Marty” Dou, who won four times in 2016. The Series began in 2014. Saxon, 25, started his day one off the pace and fired out of the blocks with birdies on Nos. 2 and 3 to take an early two-shot lead after Zhang bogeyed the third hole. The 22-year-old Zhang, the solo 54-hole leader and the 36-hole co-leader, struggled in the opening holes and then clawed his way back to within one after No. 17. But Zhang couldn’t birdie the par-4 closing hole, and all he could was watch has Saxon came through with his par. Canada’s Justin Shin, who shared second with Saxon at last month’s Haikou Championship, fired a 67 to secure third at 16-under, while Sweden’s Oskar Arvidsson (71) and Malaysia’s Arie Irawan (69) tied for fourth, at 13-under, their best results in their first full season on the Tour. “The crowds were fantastic, and it was a lot of fun to play in front of so many people. It’s definitely one of the better crowds I’ve experienced in China,” said Saxon, who carded 23 birdies and one eagle in 72 holes. After Saxon’s quick start, both Saxon and Zhang bogeyed No. 6, and the American stayed in the lead with birdies on 10 and 14. However, Zhang drew within one shot with birdies at 13, 16 and 17, ensuring a pressure-packed final hole. Saxon missed the green with his second shot on 18 and was forced to save par with a difficult up-and-down, chipping to within 7 feet before making the putt as the enthusiastic crowd watched. Even in defeat, Zhang established himself as one to watch after a strong showing this week, recording his best finish on the Tour after ties for 10th in 2015 and 2016 and a share of 11th in last month’s Changsha Championship, won by Saxon. Although he admitted the pressure of leading and the large crowds fazed him in the early holes, he responded well. After losing the lead with a bogey on the third, Zhang also bogeyed Nos. 6 and 7 then birdied No. 8 in addition to three of the last six holes to close within one of Saxon. “Today was my first time playing in the final group on this Tour, and if I played the first seven holes better, I think I might have had the chance to win,” said Zhang, who turned pro in October 2014. Zhang enjoyed his two successive rounds in the last group and said he learned a lot from Saxon, who also counts a win at the PGA TOUR Latinoamerica’s Lexus Peru Open in 2017. For Shin, who won the Wuhan Open in 2015, it was a second successive top-three finish after sharing second with Saxon at last month’s Haikou Championship. The 26-year-old South Korea-born Canadian could also have tied for second in Guilin but bogeyed the closing hole. As well as a win, Shin is also focused on securing a top-five finish on the Order of Merit to earn himself a Web.com Tour card and a return to that Tour next year. American Paul Imondi (74), co-leader after Day 2, played with Zhang and Saxon in the final group on both Saturday and Sunday, and eventually tied for sixth with England’s Alex Belt (71), at 12-under, one ahead of the China duo of Daxing Jin and Xuewen Luo and Italian Aron Zemmer. Hirschman had little trouble in the first two rounds, posting scores of 68 and 69 to finish at 3-under and make the cut to the weekend tied for 19th. If there were any nerves, they disappeared after a bogey on his first hole Thursday. Lanto Griffin made it through his first 31 holes in his U.S. Open sectional qualifier on Monday without a bogey, helping him build a big cushion that came in handy over his last five holes. The Blacksburg High and VCU grad finished with three bogeys, a par and a birdie, which was good enough to claim one of 11 available spots available for the Open, which begins June 14, at Shinnecock Hills in New York. It will be Griffin’s first Open. Griffin had rounds of 65 and 69 at Ridway and Colonial country clubs in Memphis, Tennessee. He finished tied for fourth at minus-9, one shot behind regular PGA Tour members Mackenzie Hughes and Steve Stricker, and six behind sectional winner Sam Burns. Grant Hirschman has signed with Fidelity Sports for exclusive and worldwide representation, marketing and management as he turns pro after a wonderful college career at the University of Oklahoma. Hirschman played four years at the University of Oklahoma, playing in every tournament and serving as team captain for three of the four years. Hirschman was a three-time NCAA All-American, won three tournaments including the 2018 BIG 12 Championship and was the team leader of the 2017 National Championship Team. Hirschman also finished 4th at PGA Tour Canada Qualifying Tournament, setting him up for full status for the 2018 season. Hirschman is set to make his first professional start this week at the 2018 Fed Ex St. Jude Classic in his hometown of Memphis, Tennessee. 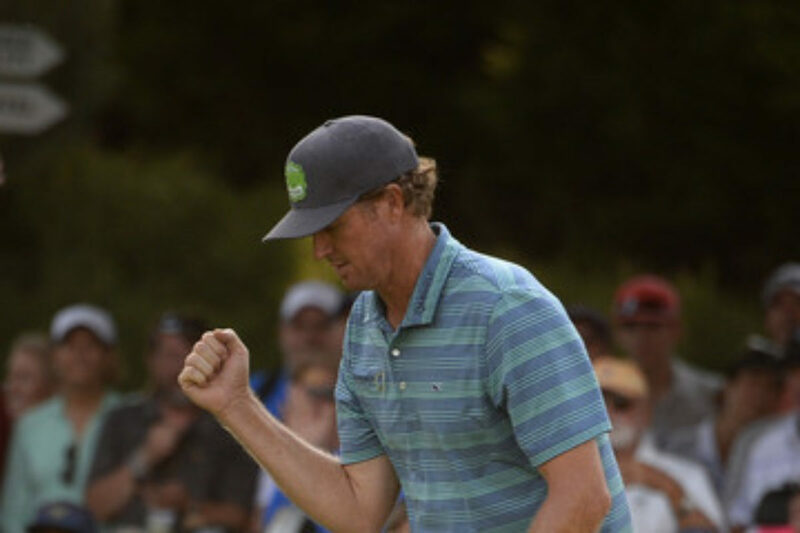 Tim Petrovic is enjoying a breakout season on PGA Tour Champions, in just his second full calendar year on the circuit after seventeen years on the PGA Tour. Petrovic posted his second runner-up finish of the 2018 season at the KitchenAid Senior PGA Championship thanks to rounds of 66-69-65-69. In February, Petrovic closed with a 64 on Sunday to finish T2 at the Chubb Classic in February. Petrovic earned $347,000 with the second-place finish over the weekend, moving him to 11th place in the season-long Schwab Cup standings. Lanto was joined in Nashville by fellow Fidelity Sports clients including Brandon Matthews, Brian Richey, and Mark Blakefield who all made the cut and finished 7th, 14th and 21st respectively. In 2017, Griffin made the cut on the number in Nashville. Weekend rounds of 62-68 and a birdie on the first playoff hole against Abraham Ancer secured the victory for Lanto. The week was the start of a very strong summer on the Web.com Tour which ultimately would earn Lanto his PGA Tour card for the first time in his career. With an off week in his PGA Tour schedule, Lanto returned to Nashville and picked up where he left off in 2017 as he snagged a share of the first round lead with a 7 under par 65 on Thursday that included a 29 on the back nine including two eagles. Lanto’s impressive play continued on Friday and Saturday earning him a three shot lead to start Sunday’s final round. A final round of even par left Lanto just short of forcing a playoff with eventual winner Cameron Davis. Lanto will carry the momentum in to US Open Qualifying on June 4th and the PGA Tour’s Fed Ex St Jude Classic in Memphis June 7-10. Brandon Matthews’ 7th place finish was his fifth made cut in a row and his third Top 11 finish in the last five events. The finish moves Matthews to 46th on the Web.com Tour Money List. Matthews currently leads the Tour in driving distance, clocking in at an average of 337 yards with his longest tee ball of the season at 400 yards. Brandon is listed in the Power Rankings as one of the favorites at this week’s Rex Hospital Open. Brian Richey’s 14th place finish was his best of his 2018 Web.com Tour campaign. In need of a good week with the impending reshuffle, Richey stepped up in a big way. firing rounds of 72-67-70-67 to finish in a tie for 14th in Nashville which was enough to guarantee his position and enable him to set his schedule for the remainder of the 2018 season. A fantastic putter, Richey’s driver has also become a strength in his game as he is 22nd on Tour in Driving Accuracy and averaging over 306 yards per drive. A winner on the 2017 PGA Tour Latin America, as Richey continues to hit more greens in regulation, look for him to be in contention regularly this summer. Mark Blakefield, like Richey, also needed a solid week the Nashville Open and he too answered the call with rounds of 69-70-67-71 to finish 21st. 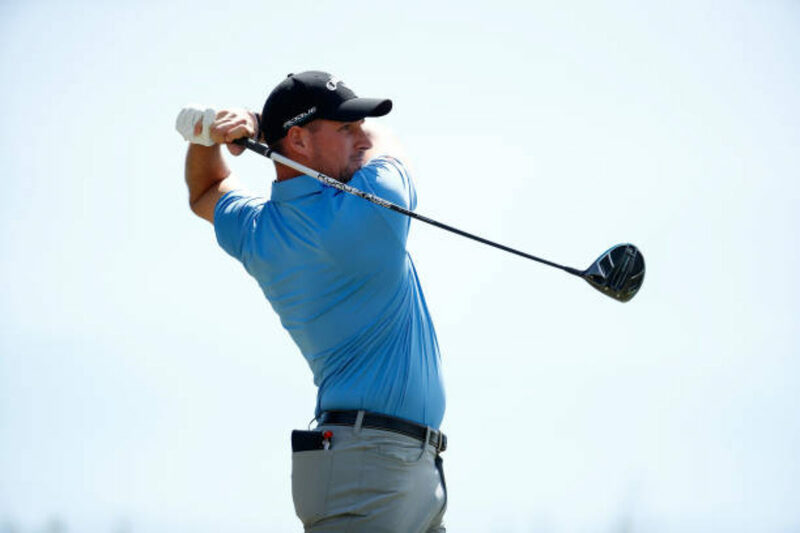 The finish was his second Top 25 of the season to go along with his 25th place at The Bahamas Great Abaco Classic at The Abaco Club in January. Well known as a talented ball striker, Blakefield has made great strides with the putter over the last few weeks and carries the momentum in to Raleigh, North Carolina this week for the Rex Hospital Open. 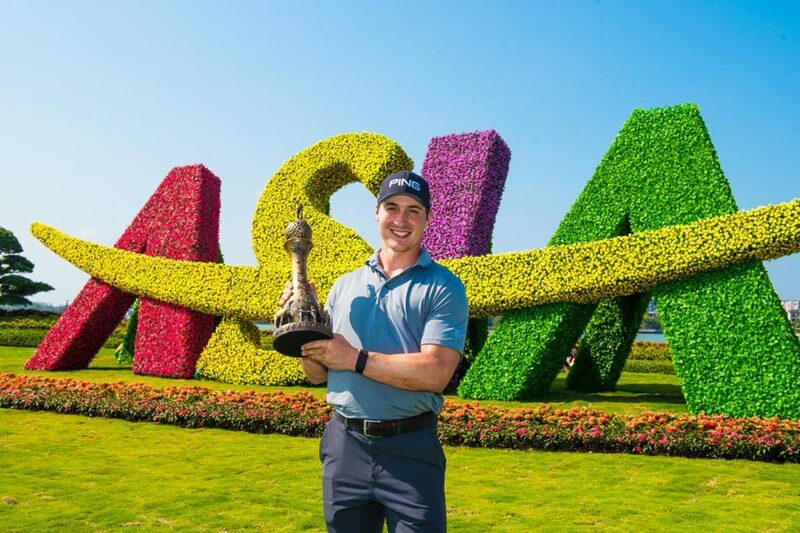 CHANGSHA, China — American Charlie Saxon won his third career PGA TOUR Series-China title by securing a two-shot victory over Japan’s Taihei Sato at the Changsha Championship on a rare Monday finish. Saxon carded a 68 to finish at 10-under and two ahead of Japan’s Taihei Sato at the Hunan Dragon Lake International Golf Club, where officials suspended play twice Sunday afternoon due to severe thunderstorms. That forced 24 players to complete their rounds Monday. Saxon was 9-under when he resumed on the 15th fairway at 7:15 a.m. on Monday, while Sato, playing in the group behind — the last grouping of the day — started at the 14th, two shots behind the leader. Saxon won two titles in 2016 on his way to finishing second on the Order of Merit. The 25-year-old made sure lifting his third trophy became a reality by making three pars and finishing with a birdie on the par-5 18th, a hole Sato also birdied to post a closing 70. “It was really kind of a dream finish. It was what I wanted to do when I went to bed last night, so I was happy to be able to do it,” said Saxon, whose 2016 Order of Merit finish earned him a place on the 2017 Web.com Tour. Along with many of his fellow competitors, Saxon then headed to the airport to fly to tropical Hainan Island for this week’s Haikou Championship, the fourth event on the schedule. Sato, 24, was disappointed not to catch Saxon but remained positive after an impressive performance in Hunan. American Kurt Kitayama (75), who played with Sato in the last group, restarted in third place at 5-under and bagged a birdie at 14 before closing with two bogeys, retaining third place at 4-under. Chinese Taipei’s Chiehpo “Max” Lee (77), co-leader with Kitayama after the third round, also birdied 14 and finished fourth at 2-under, one ahead of Japan’s Yuwa Kosaihira (71). Note: Originally posted on the PGA Tour China website. Brandon Matthews led the field in average driving distance at the United Leasing Championship at 342 yards, and finished in a tie for 11th. *The Dupont native shot a 3-over 75 in the final round of the Web.com Tour’s United Leasing & Finance Championship, leaving him at 2 over overall and tied for 11th place. As a result, he was projected to move up 21 spots into 53rd place in the tour money rankings. The former Temple standout had an up-and-down back nine, recording three birdies but also carding two bogeys and a double bogey on the par-3 16th hole. He had five bogeys overall, including three on the front nine at the tournament in Newburgh, Indiana. Jose de Jesus Rodriguez closed at 2 under to win the tournament, eight strokes ahead of Matthews. The next tour event is the Knoxville Open, May 10-13 at Fox Den Country Club. 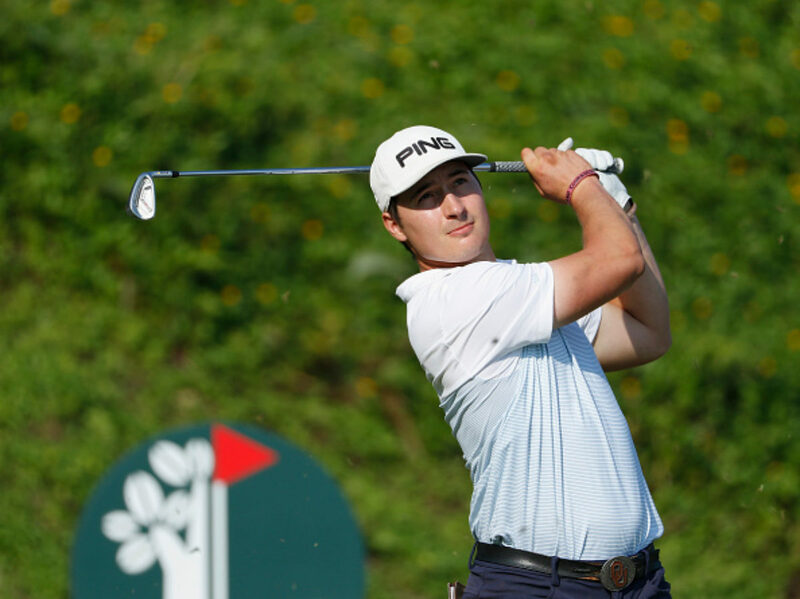 After finishing sixth on his European Challenge Tour debut in the Belt and Road Colourful Yunnan Open earlier this month, Charlie Saxon is targeting another top-ten finish at this week’s Turkish Airlines Challenge. The American will tee it up at Gloria Golf Club this week after receiving an invitation from Challenge Tour Director Alain De Soultrait and is aiming to build on his solid showing in China. 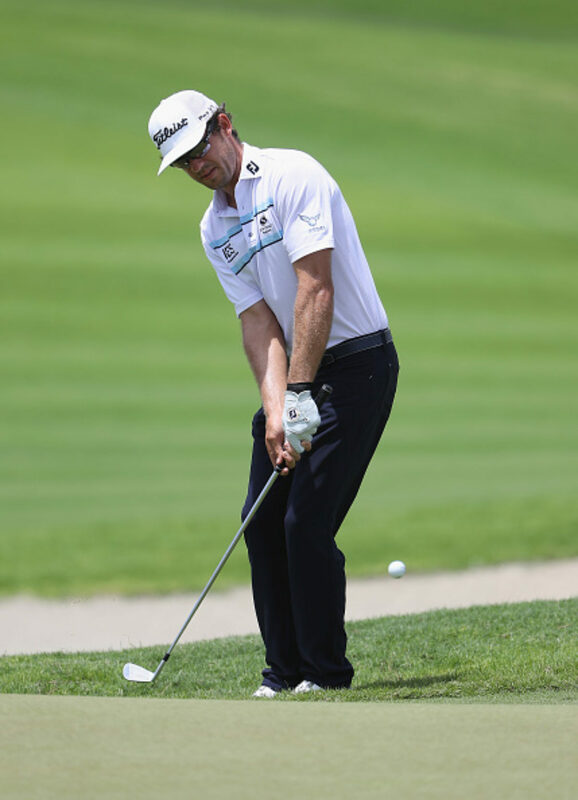 Born in Oklahoma in the United States, Saxon has previously plied his trade on various tours including PGA Tour Latinoamérica, the China Tour and the Web.com Tour, enjoying relative success. The 24 year old already has two wins under his belt this season, both of which occurred on the China Tour. A final round 66 clinched a one-shot victory at the Shenzhou Peninsula Classic as Saxon triumphed in his first tournament of the year. Saxon then claimed another superb win at the China Tour’s second event of the year, the Bo Ao Open, by shooting four sublime rounds of 65-69-64-67 to extend his lead at the top of the tour’s Order of Merit. Although he believes putting himself under too much pressure could have an adverse effect on his game, Saxon has his sights set on another high finish at this week’s Turkish Airlines Challenge. “Obviously I would love to finish in the top ten in order to get into the Challenge de España,” the American said. “That would be my goal for the week but I don’t think you can put too much pressure on yourself. Saxon has expressed his gratitude to the Challenge Tour for the invitation to play in Antalya this week and is feeling confident in his own game. “I’m thankful to the sponsors and to Alain De Soultrait and it’s another opportunity to hopefully earn more money on this tour and potentially get through the re-rank,” he said. “The course looks wonderful and the hotel we’re staying at is great. Everybody’s been really friendly so it should be a really good week. “I’m confident in my game and I’m confident in my ability. At the end of the day, golf’s a game against the course and on this tour there’s certainly more players of a higher calibre than on some of the other tours I’m used to playing. “Good golf’s good golf and I know if I’m playing good golf then I can compete and contend. Many professional golfers are extremely superstitious. For Brandon Matthews, a 2016 adult and organizational development alumnus [of Temple University] and current player on the Web.com Tour, superstition starts with the quarter he uses as a ball-marker. Matthews moved from 103rd on the Web.com Tour to 74th after he tied for 10th at the North Mississippi Classic last weekend. He hopes to finish the season within the top-25 money winners to earn his PGA Tour card. Matthews’s girlfriend Danielle Maslany gave him a special quarter for Christmas this year. Maslany has seen several of Matthews’s most successful finishes. At Temple, Matthews won eight times as an individual. Just five months into his debut on the PGA Tour Latinoamérica, Matthews won at the Molino Cañuelas Championship in Argentina in March 2017. He became the youngest American to win a PGA Tour Latinoamérica event. 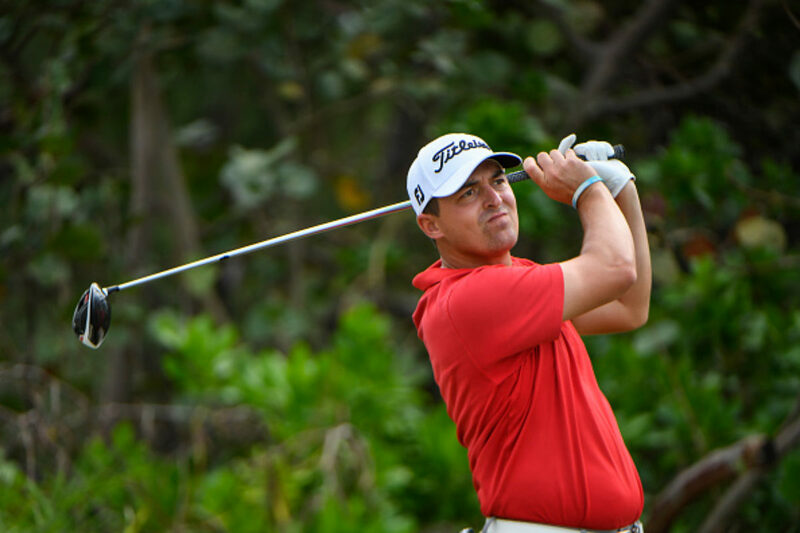 Matthews ranked 10th on the PGA Tour Latinoamérica’s Order of Merit in October 2017, which allowed him to make it to the final stage of tour-qualifying school. His high finish at q-school qualified him for the first eight starts of the Web.com Tour. Matthews only competed in five of those eight possible starts because of food poisoning and a back injury. He has had back problems since high school and regularly sees a chiropractor. Matthews said he stretches for an average of 30 to 45 minutes each morning while also watching what he eats and maintaining a healthy lifestyle. Despite back issues, Matthews’s average drive this season goes 313.3 yards, which ranks fourth out of more than 150 players on the Web.com Tour. He also has a 4.16 birdie average, which is 14th-best on the tour. Matthews said he relies heavily on his caddy, Jon “Sunshine” Lehman, for direction, especially when it comes to putting. During the Pinnacle Bank Championship in Omaha, Nebraska, in July, Lehman was on the bag for Armando Favela, who had a rib injury. Matthews qualified for the tournament through a sponsors exemption, a spot offered to a player by the tournament’s title sponsor when the player has not already qualified for the event. 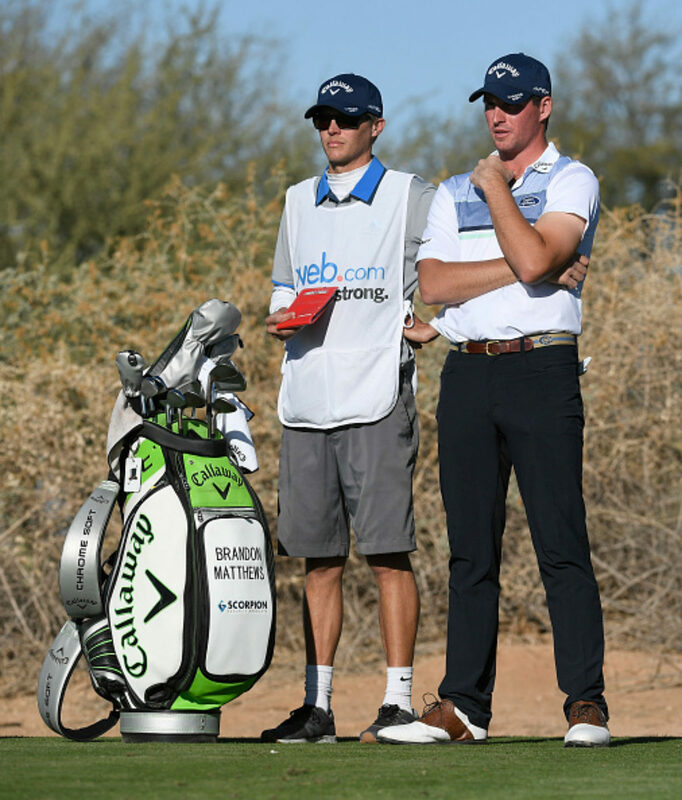 Matthews asked Lehman to be his caddy, and they have been together ever since. Matthews has finished tied for 41st, tied for 56th, tied for 34th and tied for 10th in the four tournaments he made the cut for so far this year, resulting in a season’s earnings of $19,329. Both Maslany and Lehman believe Matthews will make it to the next level. It is just a matter of when. The inaugural North Mississippi Classic on the Web.com Tour was shortened to 54 holes due to heavy rains Sunday. The final leaderboard after Saturday’s play held the event’s official results–Willy Wilcox tied for 2nd place, Brandon Matthews tied for 10th and Brian Richey tied for 33rd. Members of the Fidelity Sports Group family have had a chance to win on Sunday in five of the first eight events of the 2018 Web.com Tour Schedule. Wilcox’s 2nd place was thanks to a course record-setting performance of eight under par 64 on Saturday which included nine birdies and a bogey. Wilcox led the field in birdies for the week with 20 thru 54 holes. An incredibly good break on Firday opened the door to Wilcox’s Saturday performance. On the 36th hole of the tournament, and his final hole of Friday’s round, Wilcox hit his tee ball out of bounds however it kicked off a tree back in play. He would go on to make par on the hole to make the cut–an out of bounds tee shot most likely would have resulted in a missed cut! 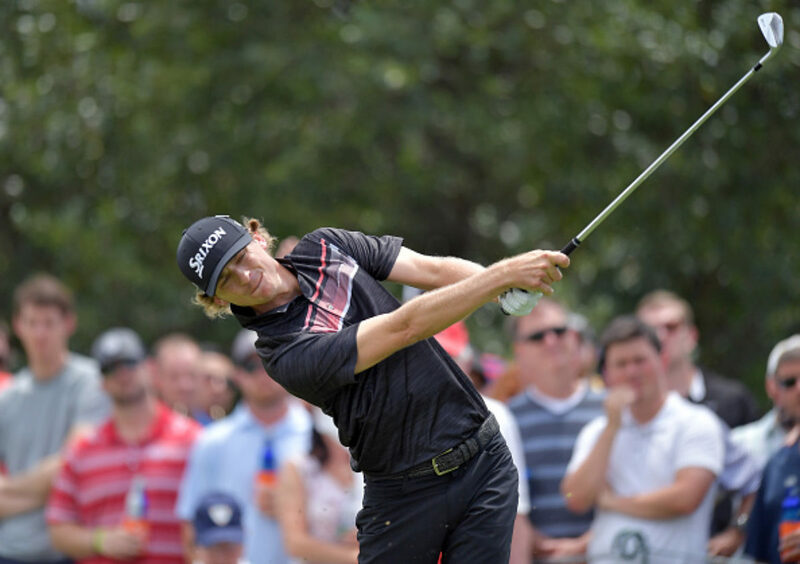 The 2nd place finish moved Wilcox to 19th on the Web.com Tour Money List. Brandon Matthews steady play all week notched him a 10th place finish, the best finish of his career on the Web.com Tour. A rookie on Tour in 2018, Matthews fired rounds of 72-69-70 and led the field in average driving distance (320 yards) and longest drive (345 yards) for the week. The finished moved Matthews to 74th on the Money List, and alleviates any stress regarding reshuffles for the remainder of the regular season. Brian Richey posted his best finish of the 2018 Web.com Tour season in Oxford, Mississippi as well–a tie for 33rd. Richey fired rounds of 72-69-73 for the finish–a nice momentum builder as the schedule becomes more consistent from week to week. Wilcox, Matthews and Richey will be joined by Justin Hueber, Grant Leaver, Mark Blakefield, Justin Lower and Jim Renner this week for the Web.com Tour’s United Leasing Championship in Newburgh, Indiana. 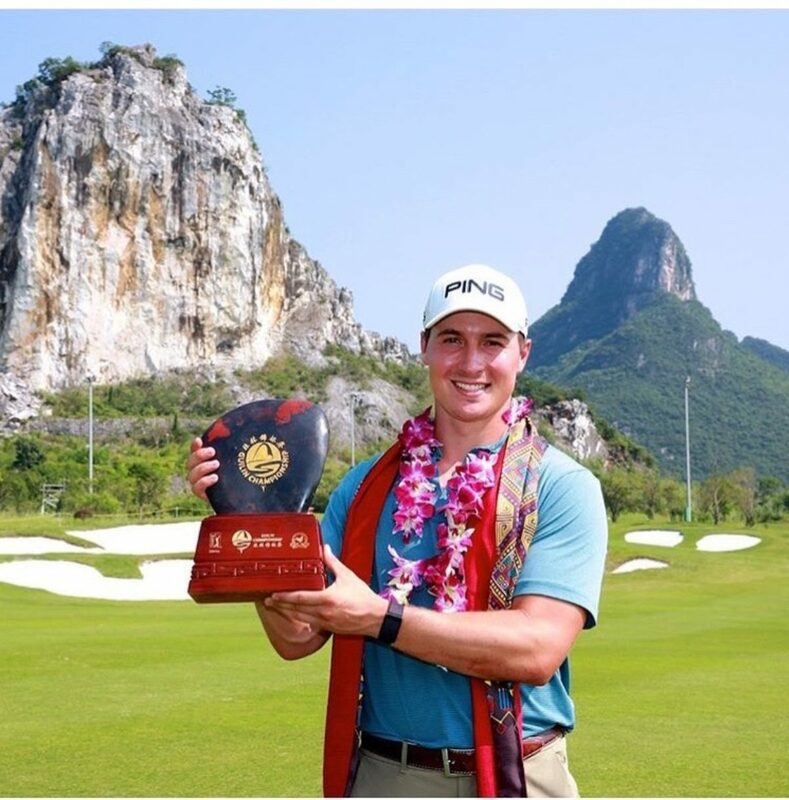 Charlie Saxon won the Bo Ao Open, the 2nd event of 2018 China Tour in Hainan on the 1st of April with a 23-under par, securing his second continuous triumph in this season’s Tour. 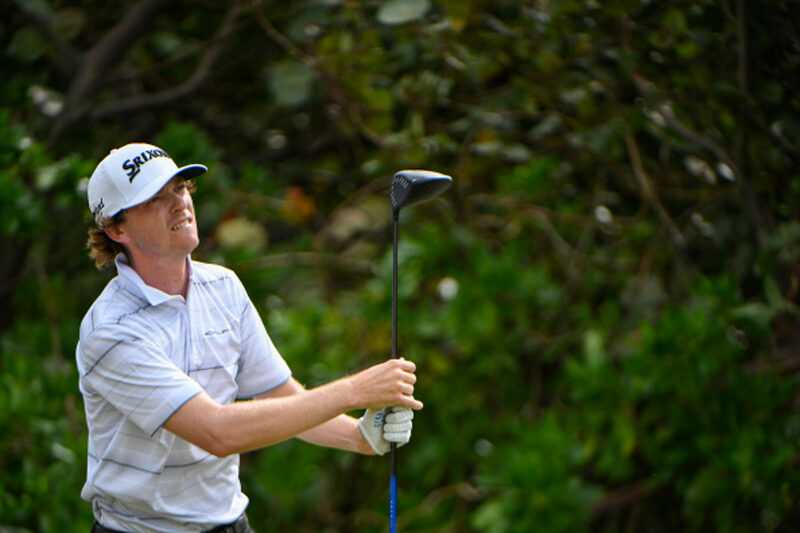 Luke Toomey from New Zealand finished 2nd with 21 under par and Suteepat finished 3rd with a -20. Saxon started the final round in the leading position and grabbed five birdies and no bogeys all day, which is the best performance among the leader’s group. “I had some bad putting strokes today, especially those 12 to 15 feet ones, but I managed to avoid any bogeys today and played steady throughout the day,” said Saxon after the final round. 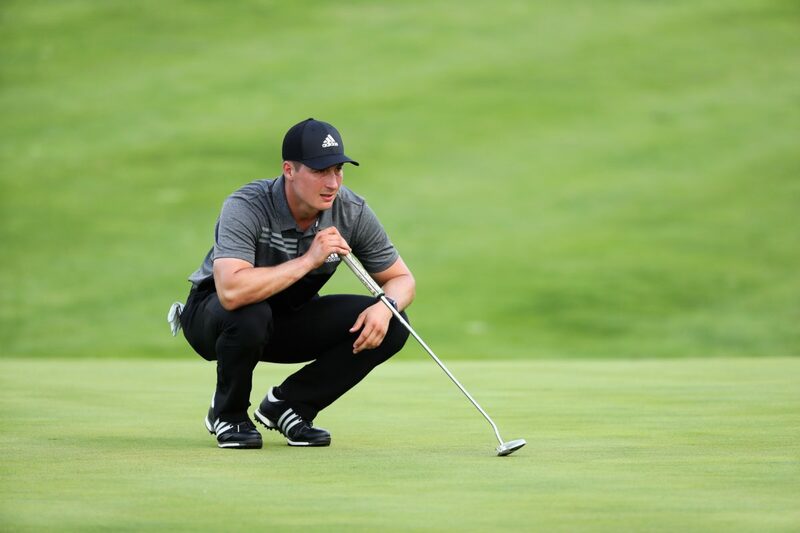 With his career goal set to enter the PGA Tour by the age of 30, Saxon participated in the event at the Yulongwan Golf Club 2 years ago during the 2016 season and finished 2nd. He said he had some good memories of the course and certainly will enjoy it in the coming event this month. If Charlie is able to maintain if #1 position on the China Tour at the season end, he will earn status on the 2019 European Tour. Justin Hueber posted a Web.com Tour career-best third place finish Sunday at the Savannah Golf Championship. Justin fired rounds of 67-67-69-68 for 17 under par over the four days at The Landings Club’s Deer Creek Golf Course in Savannah, Georgia. Hueber started the final round 1 shot off the lead of eventual champion Sam Burns. Justin got off to a strong start with birdies on holes 1, 5, and 8 to tie for the lead heading the back nine. On the back nine, eight pars and a two-putt birdie on the par 5 14th secured a tie for 3rd place for the week. Sam Burns caught fire on the back nine firing a 6 under par 30, including birdies of 4 of his final five holes to win by a shot over Roberto Castro. The finish moves Hueber to 21st on the Money List thanks also to a 25th place at The Bahamas Great Abaco Classic at The Abaco Club, a 13th place at El Bosque Mexico Championship by Innova and a 28th place at Chitimacha Louisiana Open presented by NACHER. Justin’s 96 birdies on the season and 1 top ten finish have raised over $2,400 for the Leukemia and Lymphoma Society thanks to his partnership with Credibility International. Justin and the Web.com Tour have the next two weeks off before returning to competition in Oxford, Mississippi April 16th thru 22nd. Justin Lower posted his best career finish on the Web.com Tour over the weekend. Rounds of 65-73-67-64 and a final score of 15 under par secured a third-place finish at the Chitimacha Louisiana Open presented by Nacher. The finish made Lower $37,400 and moved him to 23rd on the Web.com Tour Money List. The Top 25 earners are the end of the regular season earn PGA Tour membership for the 2017-2018 season. Lower noted that he “found something” in his swing during Friday’s difficult round in blustery conditions. After a rough start of 5 over par thru this first nine holes, Lower focused the final 54 holes on a smooth tempo which led him to make 14 birdies and no bogies in his final 54 holes. Justin’s 20 birdies for the week raised $2,000 for Ohio Guidestone as Modern Woodmen Financial donates $100 for every birdie Justin makes during the 2018 season to the organization! Lower’s next start is this week, March 29th thru April 1st at the Savannah Golf Championship in Savannah, Georgia. PGA Tour player Lanto Griffin is proud to announce a new partnership with IES Communications. 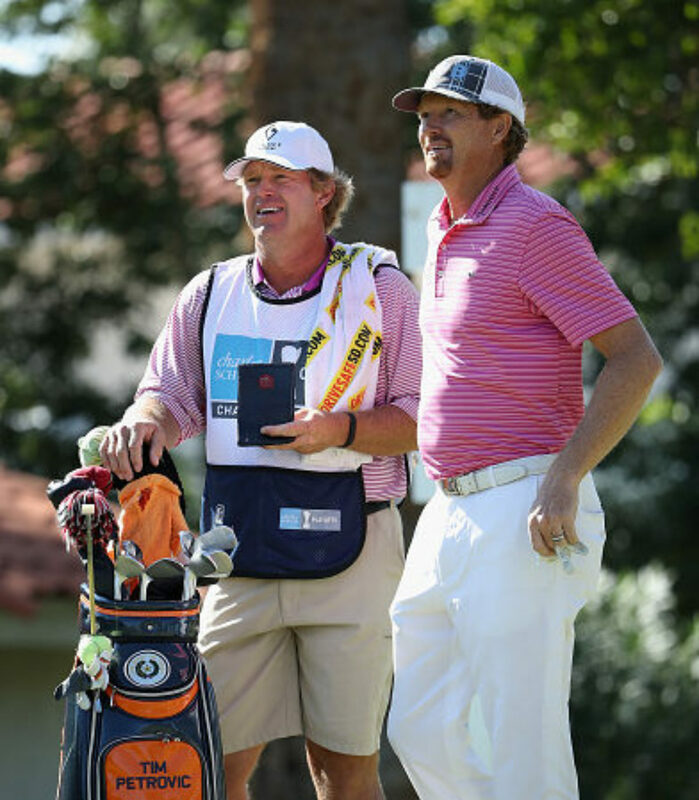 Lanto will serve as a worldwide ambassador for IES Communications, sporting the company logo on the chest of his apparel during PGA Tour competition and engaging with IES executives, employees, partners, and clients off the course. 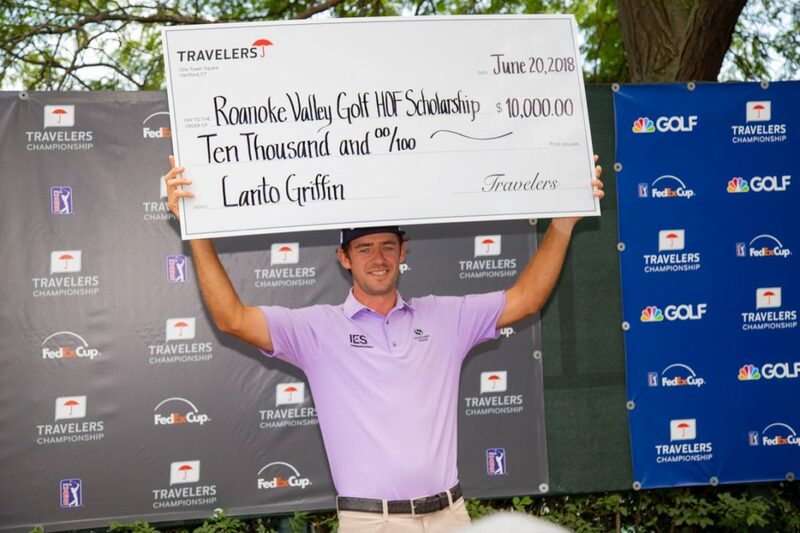 Lanto Griffin is a native of Blacksburg, Virginia and a graduate of Virginia Commonwealth University where he played on the Men’s golf team. Lanto started playing golf professionally upon graduating college in 2010. His career to date has taken him to Europe, North, Central and South America. Lanto played full time on the 2017 Web.com Tour, and he had a breakthrough victory at the Nashville Open with rounds of 72-70-62-68 and a birdie on the first playoff hole to secure the win. The 2017/2018 season marks Lanto’s rookie season on the PGA Tour, and he has already had success with a 12th place finish at the difficult Torrey Pines, site of the Farmers Insurance Open in January 2018. IES Communications was created as a structured cabling provider in 1984. Matt Simmes, President, joined in 1992. IES Communications has added new product lines and services and is now a leading provider of network infrastructure products and services for data centers and mission-critical environments across North America. Charlie Saxon won the Shenzhou Peninsula Classic with a total score of 277 (-11) on the 10th of March. Chunil Jung from Canada and Fraser Wilkin from New Zealand finished 2nd with a tie at -10. Top 2 Chinese players Jin Daxing and Ye Jianfeng both finished at -7. This is the opening match of the China Tour 2018 season, held by China Golf Association. Saxon started the final round with -5 on the 8th position. He had a fairly impressive start, coming to the leading position of the scoreboard after the first 3 holes. He finally finished the day with a -6. The former champion says the bad weather on the second and third day of the tournament was actually no problem for him. Saxon said the Dunes golf course is absolutely fantastic and it is one of the best-condition course he has ever played on. 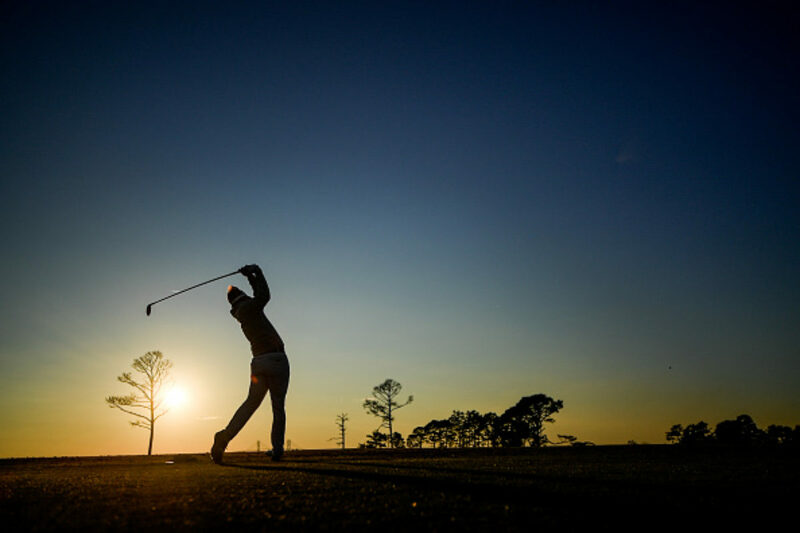 The China Tour is an independent international tournament series, based on the nation’s comprehensive economic strength, representing the highest level of the development of Chinese professional golf. In 2018, the Tour runs throughout the year, consisting around 20 events including regular tournaments, co-sanctioned events and a flagship event – Tour Championship. Saxon’s first two wins in China were on PGA Tour China in 2016, where he also won Rookie of the Year honors. 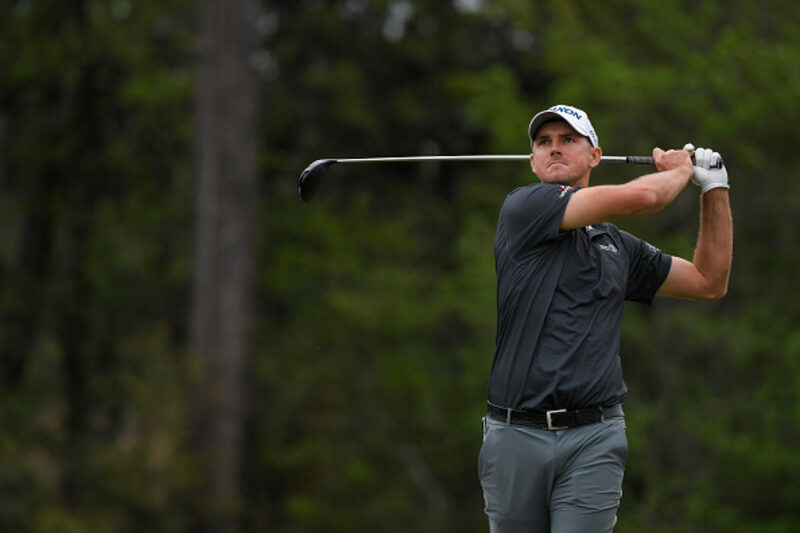 Tim Petrovic posted a career best finish at the 2018 Chubb Classic on the PGA Tour Champions February 16th thru 18th in Naples, Florida at the Twin Eagles Club. Petrovic fired rounds of 71-66-64 for a 15 under par total. The finishes moves Petrovic to 15th in the Charles Schwab Cup Standings. Wilcox Uses Off Season to Return to Fundamentals; Back in Contention in 2018. 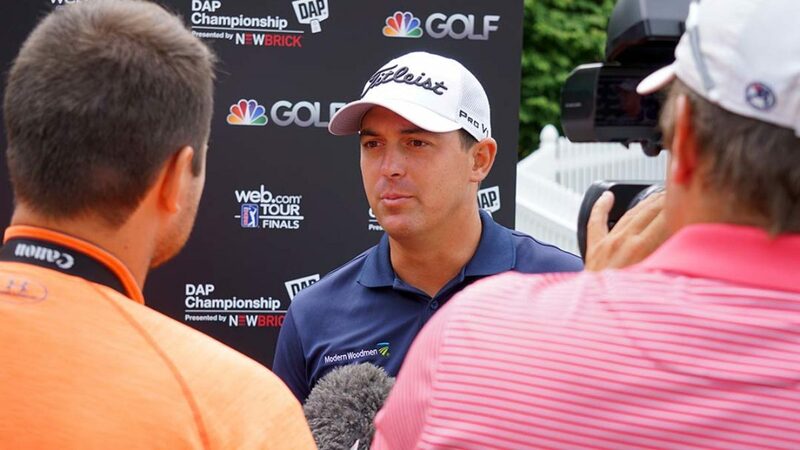 Cleveland, Ohio, January 12, 2018 – Modern Woodmen – Fraternal Financial and OhioGuidestone, a nonprofit that serves over 36-thousand families, announce a partnership with professional golfer and Ohio native, Justin Lower. The collaboration offers various components such as raising funds to help children and families served by OhioGuidestone and public awareness of the excellent work of both OhioGuidestone and Modern Woodmen, Fraternal Financial. Specifically, Modern Woodmen plans to donate $100 per birdie Justin Lower makes on the 2018 Web.com Tour to OhioGuidestone. In addition, Lower plans to sport both organization logos on his apparel during the Web.com Tour. For Lower, the partnership is part of his journey. “Supporting OhioGuidestone’s children and families has been an honor and a privilege for our fraternal members. Our joint passion to strengthen families and communities continues to grow through our partnership, and we are delighted to give back in this new and innovative initiative.” – Brian Souder, Managing Partner, Modern Woodmen – Fraternal Financial. OhioGuidestone is a 154-year-old non-profit organization that helps families, children and individuals who face some of life’s most challenging situations, including mental illness, addiction, abuse and behavioral issues. Headquartered in Berea, Ohio, we have grown to serve over 36,000 children and families in Ohio. 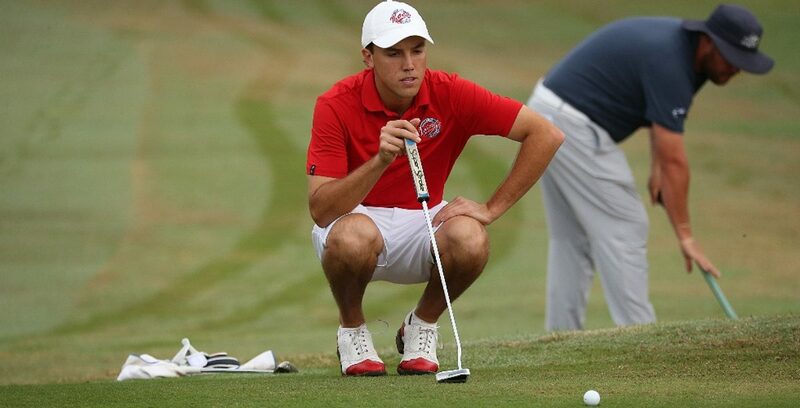 Justin Lower is a native of Canal Fulton, Ohio and a graduate of Malone University where he was crowned National Champion, and was recognized with the Jack Nicklaus and David Toms Award as one of the top college collegiate golfers in the country. In 2018, Justin will play full-time on the Web.com Tour. PGA Tour stars such as Jim Furyk, Keegan Bradley, Zach Johnson, Jason Day and many more once competed on the Web.com Tour on their path to the PGA Tour.